Shop our top quality composite decking boards made with special clip systems that hide ugly screws and nail heads giving you a finished look for your floors. 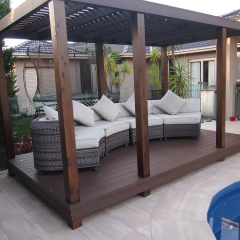 Our composite decking is weather resistant, low maintenance, and mold free. For any additional details, simply visit our website.